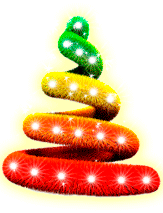 The folks over at Get-Xmas.com have created many different portable Christmas trees that you can display on your desktop. Just run your favorite tree's EXE (executable) file and it will automatically show up. You can customize its settings by right-clicking on the tree. 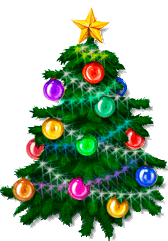 If you move your mouse over the tree, you will be able to see how many days are left for Christmas.